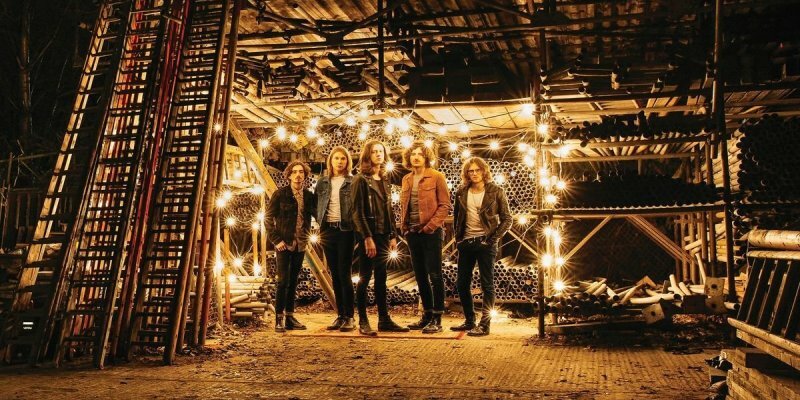 As the blood-pumping drums of Kanye West’s Black Skinhead pulsed through Manchester’s Albert Hall on Saturday night, Stockport’s very own Blossoms flooded the stage. Tom, Charlie, Josh, Joe and Myles make up this home-grown five-piece that have amassed a varied fanbase for their slick 80s rock-pop feel. The band have achieved a lot so far in their short career, that debuted in the very same city at the much smaller Night and Day Cafe. Tickets to see the Blossoms then were a mere £3, but it’s hard to imagine from their performance last weekend that they were ever that small. From couples reliving their days as 80s teens to students with vintage tastes, the eclectic crowd went wild for the funk-influenced opening track At Most A Kiss. A recent release, the song champions their synth guitar riffs and funky drum beats with Tom Ogden’s smooth yet raspy vocals. It was followed by Blow that boasts a bass riff responsible for their comparison to Manchester’s New Order, Oasis and The Coral. Critics have even been compelled to ask, “are Blossoms the new Stone Roses?”. A bold statement that might just be proven true if shows continue to sell out like much of their 2016 tour. Their EP Charlemagne made it onto the Christmas vinyl charts this time last year, and was featured as BBC Radio 1’s Track of the Day. It brought the band to the forefront of the indie-alternative genre, and sparked a fast-growing career. The Telegraph wrote: “One could herald Blossoms as potential saviours of a moribund genre. They certainly know how to write a big tune and deliver it with intent.” As part of the crowd, it was easy to see how much they deserve that praise. The impressive psych-pop succession of You Pulled A Gun On Me, Blown Rose and Getaway proved their talent undeniable. The first of the three was Blossom’s first ever release, produced by the lads themselves on a budget of just £60 back in 2014. It is a silky-smooth funk track that attracted the attention of The Coral’s James Skelly, who wasted no time in signing the lads to his label Skeleton Records. The hugely popular Blown Rose was next up, followed by the love-sick lyrics of Getaway that had even those sitting down pour their hearts out. A personal favourite of mine (and definitely of the dancing couple next to me too) Honey Sweet was blissful to hear live. Things got a little slower after that, until Tom in his Morrissey-esque “Marry Me’ sweater was left on stage to play On To Her Bed and My Favourite Room. But, the beautiful acoustic moment quickly morphed into a pre-encore, party mash-up of Babybird’s You’re Gorgeous, Wham!’s Last Christmas and a little of Oasis’ legendary Half The World Away. If that doesn’t impress you enough to give Blossoms a listen, nothing will. It was a masterstroke only Charlemagne could follow: and it did, with confetti cannons and strobe-lighting for back-up. Of all the groovy songs ever deemed ‘impossible not to dance to’, it has to be up there with the best. As the most popular and most disco Blossoms track, Charlemagne is the one to try for a first-time listener, or the one to invest in if you’re already a fan. All in all, these high school friends may be travelling the world, tearing-up festival stages and even supporting the Stone Roses, but right now Blossoms still seem to be ordinary guys from Stockport up on stage. This is so exciting to see from a band who have undoubtedly set themselves apart from the hoards of charts-rock-and-pop. Treat yourself to their debut album and EP on Vinyl and CD on our store and flaunt your awesome taste in music to a friend this Christmas!